Ms. Nelisiwe Magubane holds a B.S. in Electrical Engineering, registered electrical engineer and a Postgraduate Diploma in Business Administration. She started her career in Eskom, a South African electricity utility. After a stint in the private sector as a consulting electrical engineer, she joined the Department of Minerals and Energy as the Chief Director responsible for the restructuring of the electricity sector, planning and implementation of the electrification programme. 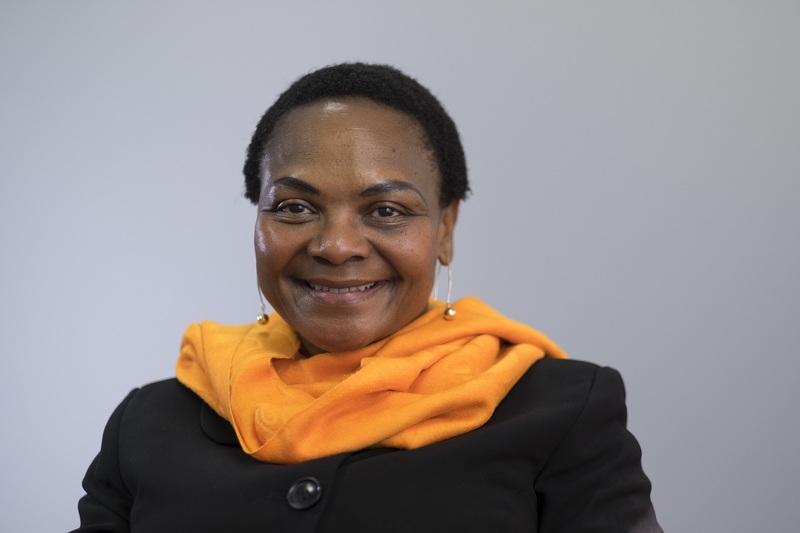 She was appointed as a Deputy Director General responsible for the development of the policies that govern the electricity, nuclear and clean energy in South Africa. Her extensive engagement in the Southern African region power sector includes Cahora Bassa power system negotiations with Government of Mozambique and Government of Portugal, the Grand Inga Treaty with the Governments of the Democratic Republic of Congo, Republic of Angola, Republic of Namibia and Republic of Botswana to name a few. She appointed as Director General of Energy in December 2009. Ms. Magubane is an expert advisor in energy regulation, policy and procurement. She is currently working advising the Government of Tanzania on the design of their reverse auctions. She is also working with the Tetratech team in restructuring Tanesco, the Tanzanian electricity utility, as part of Power Africa Transactions and Reform Program (PATRP). Ms. Magubane is a former member of the Engineering Council of South Africa and a Chairperson of the Audit, Risk and Compliance Committee. Neli is one of the top 50 most influential figures in the Southern African Power sector by the ESI Africa Magazine. Ms. Magubane’s contract with the Department of Energy ended in November 2014. As an entrepreneur, she has established Matleng Energy Solutions, a 70% women-owned company that provides energy solutions. She has also been appointed to the Board of State Information Technology Agency (SITA) as a Non – Executive director. She has also been appointed as a member of the Thebe Energy and Resources Advisory Council, which advises Thebe Investments on strategy. Ms Magubane was invited to present and moderate a session on “Renewable Energy” during the Energy Indaba that was held between 7th and 8th of December 2017 hosted by the Department of Energy, Republic of South Africa. She is appointed as a Non-Executive Director for Eskom Holdings SOC LTD.
One of my favorite quotes in the world is one by Nelson Rolihlahla Mandela; the first President of democratic South Africa is “Education is the most powerful weapon which you can use to change the world.” This has been very true in my case. My family was one of those households that subsist on less than US$2/day. I have had an opportunity to influence South African energy policy, I have had an opportunity to discuss and influence energy trading within Southern Africa. I have planned and implemented a most effective energy access program for South Africa and led a team that designed one of the most successful electricity reverse auctions in the World. Definitely, in South Africa, the realization that the energy sector is male-dominated persuaded former President Mbeki to appoint women as political leaders of the energy sector. 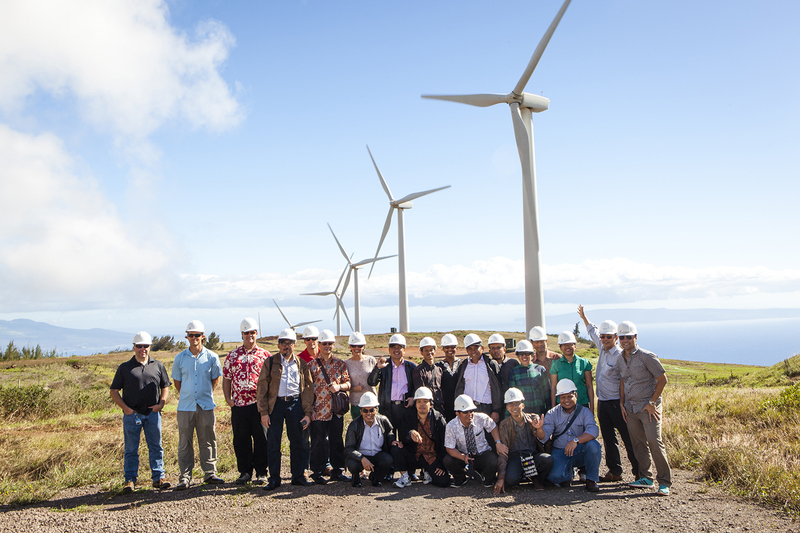 In turn, they also sought to change the energy landscape by appointing leaders of the various energy organizations that are owned by the State. The private sector also followed suit. I am the Chairman of Matleng Energy Solutions, an organization that seeks to provide diversified energy solutions. 70% of Matleng Energy Solutions is owned by women. At least 49% of the workforce is women. I also sit on the Board of Eskom Holdings SOC LTD, a vertically integrated electricity provider that generates at least 55% of the total installed electricity capacity in Sub Saharan Africa. One of the mandates we have as a Board is to transform Eskom Holdings SOC LTD into a modern utility that is agile and able to respond to the changing environment. This will provide an opportunity to also change the profile of the workforce and introducing more women in the energy sector. Definitely, they do. We believe that a specific effort needs to be made to ensure women participation at all levels. We do this by ensuring that we provide networking opportunities for women. We currently have 120 female engineers in our database and we provide an opportunity for them to connect through social media. We also run a training program known as Women Effecting Change. It has various pillars that include leadership-training, Industrial revolution 4.1, entrepreneurship, amongst others. Please follow this link: www.effecting-change.com. It starts with removing gender stereotypes. Men must sensitize that women are not just capable, but they are able to manage the “work home balance”. In addition, they need to be sensitized that we are in a partnership. Forbes magazine has indicated that out of the Forbes Top 500 companies that were surveyed, the one that have gender diversity had their return on investment that was at 25% more than their competitors who didn’t have the same level of diversity. Leadership training and mentorship is also key.